Akshardham Temple is a Hindu temple of Bhagwan Swaminarayan located in New Delhi, the capital of India. 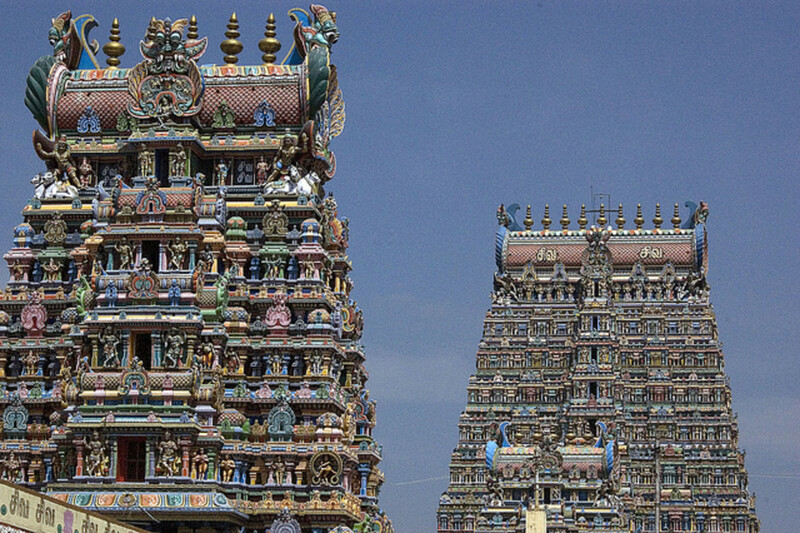 It is recognized as the largest Hindu Temple Complex in the World. 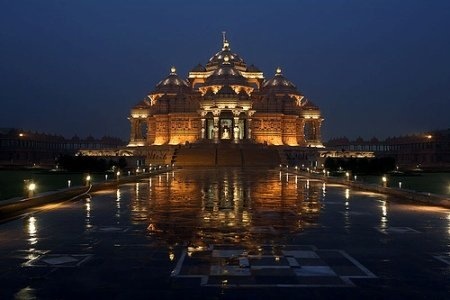 The word Akshardham means the eternal, divine abode of the supreme God, the abode of eternal values. It is visited by almost all tourists who come to New Delhi. This huge temple was built by HDH Pramukh Swami Maharaj to fulfill the wish of his Guru (Teacher) Brahmaswarup Yogiji Maharaj. 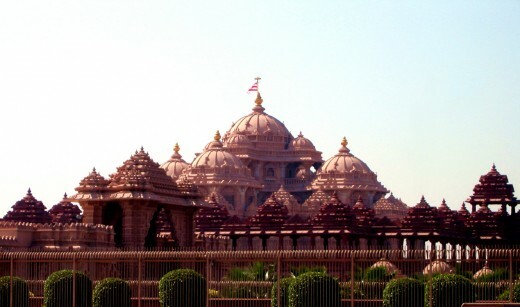 Akshardham temple was officially opened in November 2005. The temple stands on the bank of river Yamuna in Delhi. The temple is constructed entirely from Rajasthani pink sandstone and Italian Carrara marble, and has not used any steel or concrete. The whole complex has 234 Ornately Carved Pillars, 9 Ornate Domes, 20 quadrangle pinnacles and 20,000 statues of devotees. Swaminarayan Akshardham, N.H. 24, Near Noida Mor, New Delhi, India - 110092. 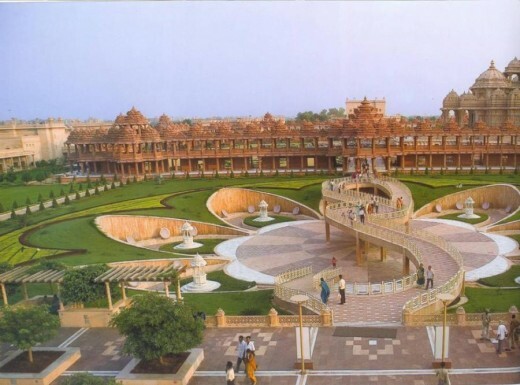 Akshardham Temple is situated on National Highway 24 (NH-24) making it well connected to Noida and Ghaziabad. For the residents and tourists of Delhi, it is connected via road from ITO as well as via metro from almost entire Delhi. 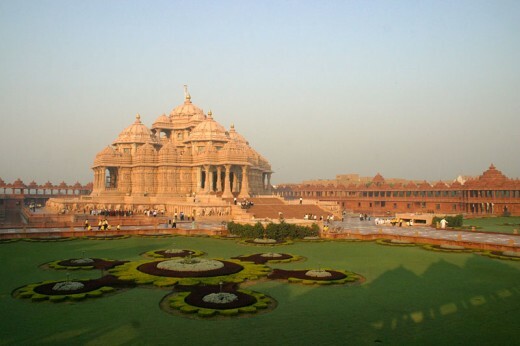 Akshardham Temple is located on National Highway 24 near Noida turning in Delhi. Temple: When you enter the main temple, which is 141 feet (43 meters) high, 316 feet (96 m) wide, and 370 feet (110 m) long, you will find 11 feet (3.4 m) high gold plated statue of Bhagwan Swaminarayan. 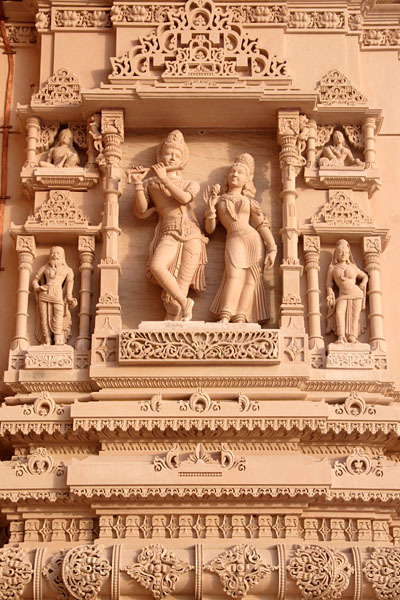 The temple displays centuries of traditional Indian and Hindu culture, spirituality, and ancient architecture. Hall of Values: To experience the life of Swaminarayan, you must attend this show, also known as Sahajanand Darshan at the Hall of Values. 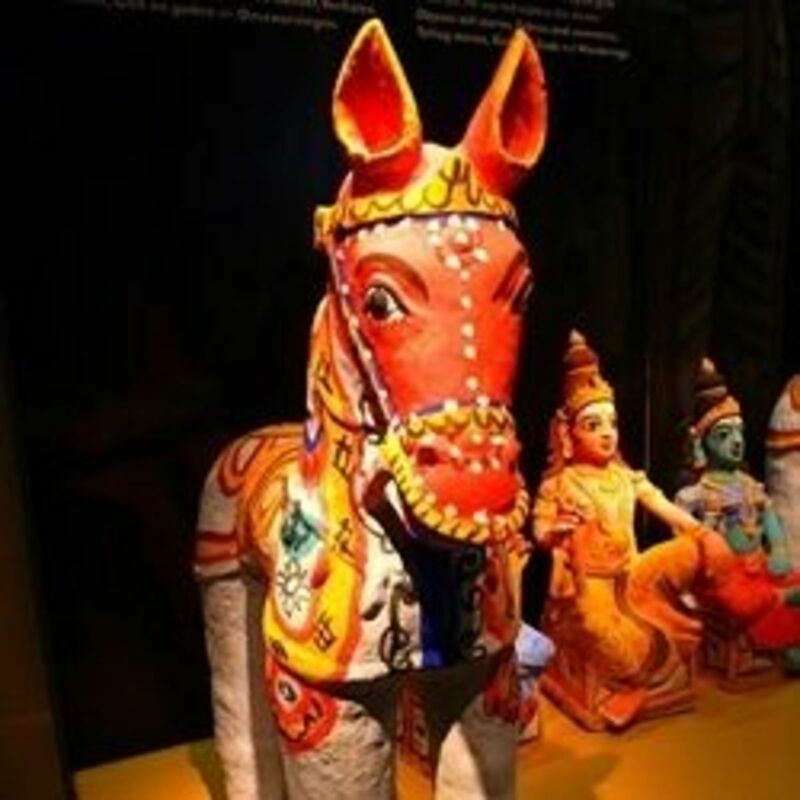 This light and sound show sets the 18th century of India and portrays the message about the importance of peace, harmony, humility, and devotion to God through fifteen 3-D dioramas and presentations. Boat Ride: A pleasant boat ride known as 'Sanskruti Vihar' is a must visit for every tourist. The 12 minutes journey will take you through the 10,000 years of India's glorious heritage which includes the world's ancient Vedic village life, the world's first university Takshashila and a journey through the world of ancient discoveries and inventions by great Indian men. 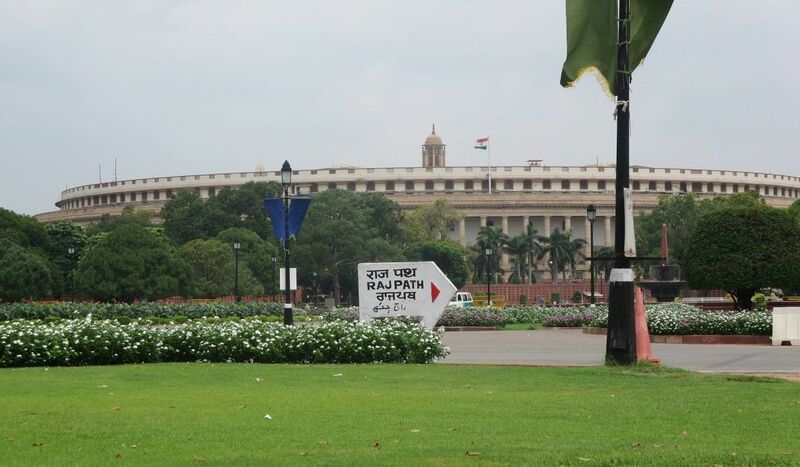 The memorable journey finally ends with a message expressing hope for the future of India. 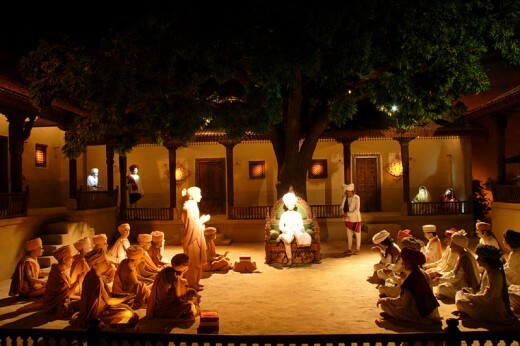 Theatre: This theatre features a film (Neelkanth Darshan) featuring an inspiring pilgrimage of Neelkanth Varni, a child-yogi, of 18th century India on a giant screen to recount a seven-year pilgrimage made by Swaminarayan made during his teenage years throughout India. The film shows India's holy places, festivals and spiritual traditions which was shot in 108 locations of India right from the icy peaks of the Himalayas to the pristine shores of Kerala. 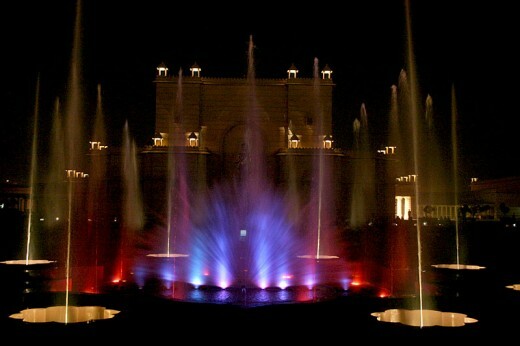 Musical Fountain: The musical fountain, also known as the Yagnapurush Kund, is the world's largest yagna kund which measures 300 feet (91 m) by 300 feet with 2,870 steps and 108 small shrines. In the evening, eight-petaled lotus shaped yagna kund at the center comes to life with a colorful musical water fountain that echoes the Vedic sentiments of India. Garden of India: The garden of India (Bharat Upvan) has lush green lawns, trees, and shrubs with inspiring bronze sculptures. In the center of the garden you will find the Yogihriday Kamal, named after Yogiji Maharaj; and every petal of Yogihriday Kamal reflects the auspicious sentiments of Yogiji Maharaj who always prayed, “May God do good of all”. 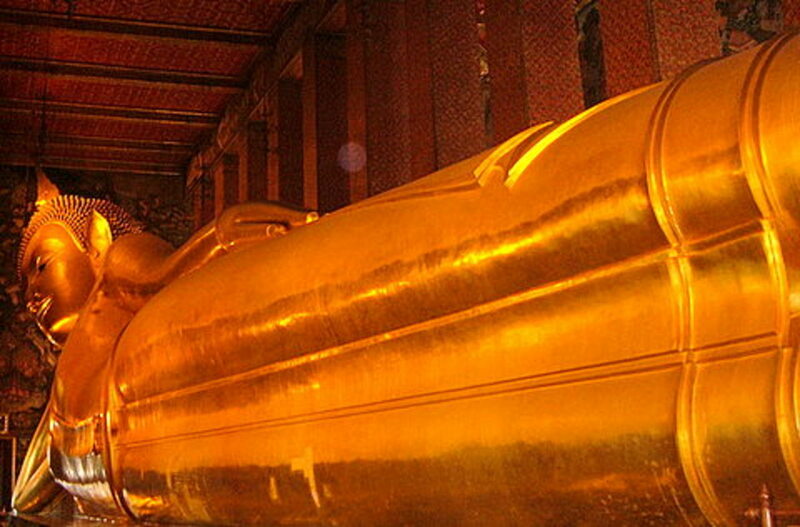 The temple premises do not allow you to carry mobile phones, camera or any electronic device. So, you have to leave all these items at the security gate before entering the temple. Despite the fact, it is the largest Temple complex and one of the best architectures of country, but it is not the best religious place. 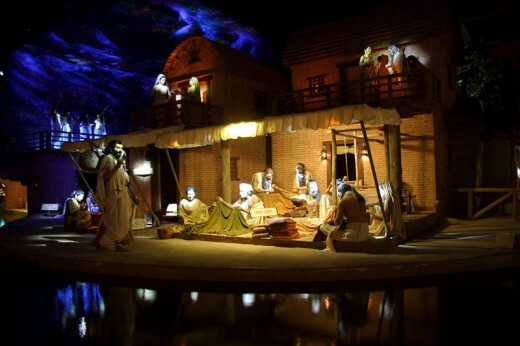 Even after spending couple of hours or more, it might be possible that you may not feel much religious as it has become a major tourist attraction. 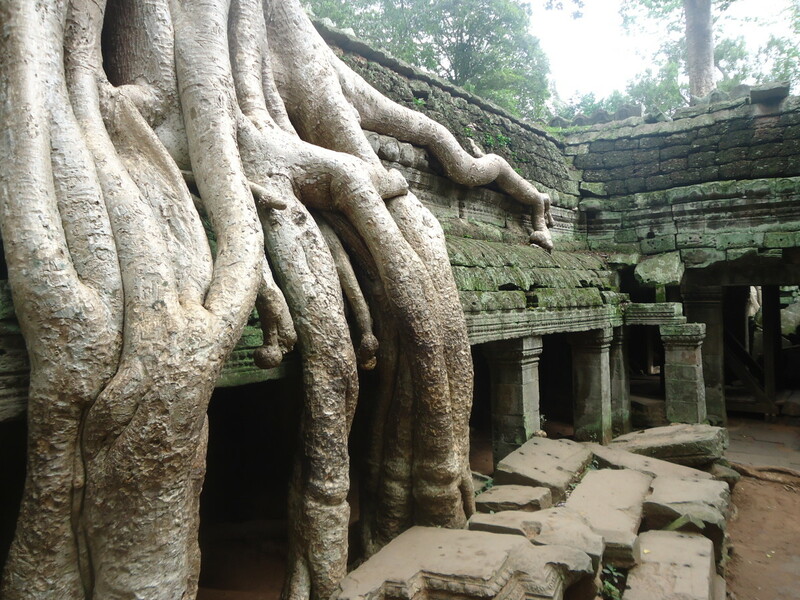 Most people visit this temple to have some outing and consider it as a picnic spot only. 3-4 hours. 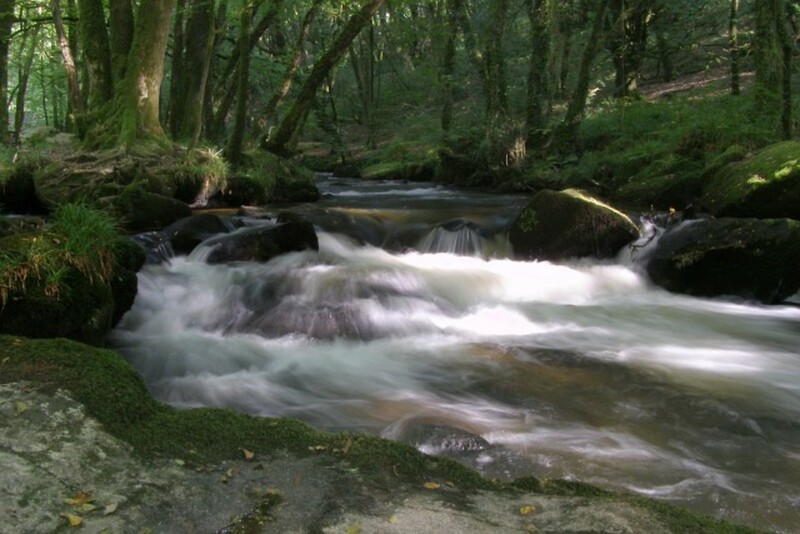 It is best to visit in evening time. It is a must visit for each tourist to experience the beauty and great Indian architecture of AkshardhamTemple. Delhi has three UNESCO World Heritage sites along with several other magnificent monuments and places to visit. Find the list of some of the famous and best tourist places in India. 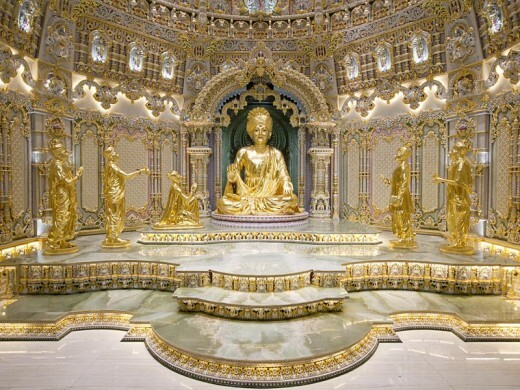 How will you rate your visit to Akshardham Temple? Village Life In Tamil Nadu - Travel Photo Collection. this is increadable temple. maintanance is very high.indian must obey his diginity.